This Holly's Homestyle is described as a sweet flavor, with no spice, named after one of the company's long time friends. The first thing that hits my palate is a strong sweet, followed soon by a natural smoke. There's a light saltiness. 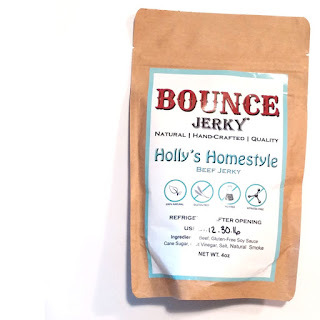 The chewing brings on a smokey, natural meat flavor, with touches of tanginess. For being marketed as a sweet, mild variety, it certainly holds up. It's quite sweet, and totally mild. It even has a sticky touch, almost like a glaze, and it's the sweet that hits you first before any other flavor. 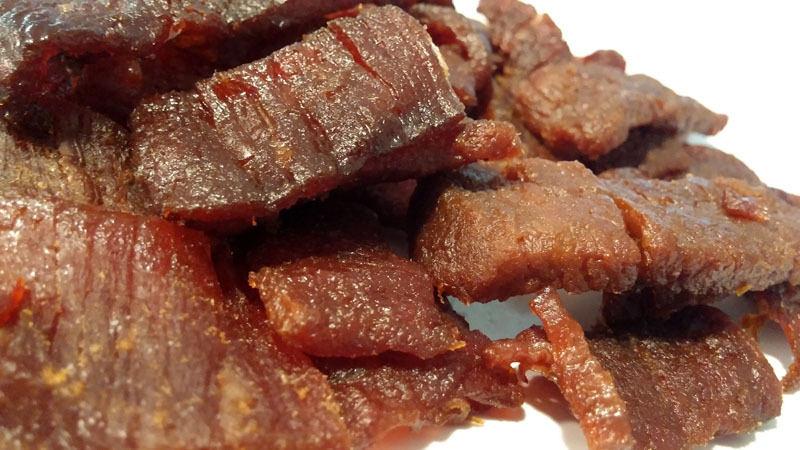 Otherwise, the primary taste profile is a smokey, sweet, natural meat flavor, with a light bit of salt, and a touch of tangy chewing. The meat consistency seems mostly all meat. The chewing is a little more moist than the company's "Spicy Pineapple" I reviewed last week, and it's a little more tender too. Once chewed down soft, it feels like real steak, cooked well done. This Holly's Homestyle from Bounce Jerky offers an excellent, real wood smoked meat flavor, with little other seasonings to get in the way. The extra sweet flavor and moist, sticky touch, seems to heighten the smokiness. 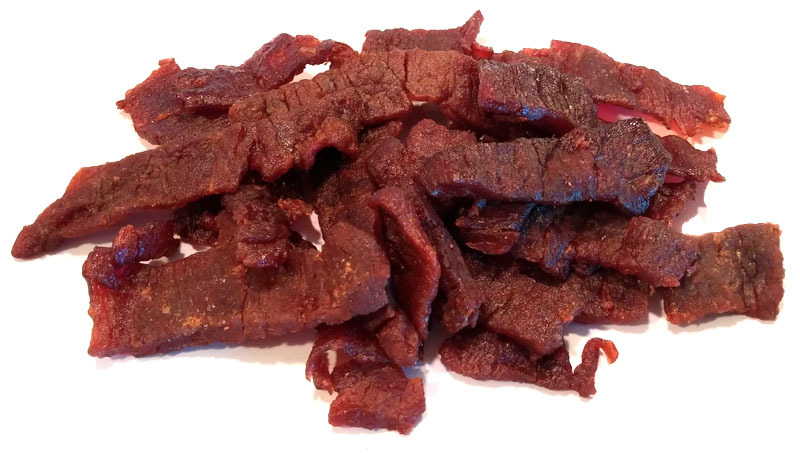 This jerky has a simple character, which makes it taste old school, yet belts out a very irresistible flavor. Add to that the moist, tender chewing, and steak-like texture, and you get the sense of eating natural, real wood smoked beef, with few ingredients.